Interested in Call of Duty: Black Ops 4’s Blackout battle royale mode, but don’t really feel like shelling out for the rest of the game? Well, you’re in luck, as a Blackout will soon be free-to-play for a full week! You can check out a quick trailer for the free week, below. The Blackout trial kicks off this Thursday (January 17) and will continue until January 24. 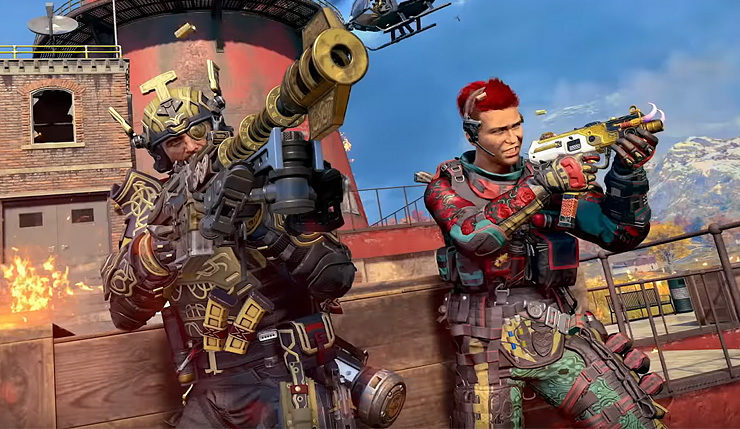 The trial will only feature Blackout – Black Ops 4’s Zombies and traditional Multiplayer modes won’t be included. If you enjoy Blackout and would like to buy it permanently, you can get a bit of a deal by purchasing the $30 Black Ops 4 Battle Edition, which only includes Blackout and Multiplayer (no Zombies). But maybe Zombies mode is what you’re into? Well, there’s good news for you, too! This week Treyarch is kicking off the “115 Day” event, which includes double XP and new Gauntlets challenges. You can get more details, below. January 15, aka 115 Day – a nod to the notorious Element 115 from Call of Duty Zombies lore, which holds a special place in our hearts. How about some Zombies 2XP to kick things off? Zombies players earn 2XP, 2X Weapon XP, and 2X Nebulium Plasma on all platforms! Get out there and slay to your heart’s content, because we’ve been working on some new Elixirs and bundles to brew up with all that newfound Nebulium. We’re excited to debut Gauntlets in Zombies this week on PS4, starting with “Unsinkable” in Voyage of Despair! Gauntlets in Zombies are endlessly-replayable, 30-round challenges with unique rules governing gameplay in each round. Players earn medals and tiered rewards for completing rounds 10, 20, and 30, as well as a unique reward to adorn your Emblem for completing round 30 without failing a round. You might see some new Concoction bundles in the Laboratory over the coming weeks while we test out some fresh combinations, so feel free to try them out and let us know what you think! 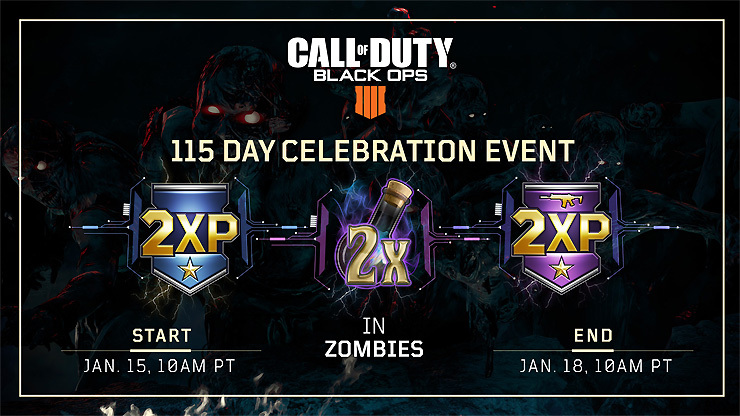 The Black Ops 4s Zombies 115 Day event continues until January 18 at 10am.